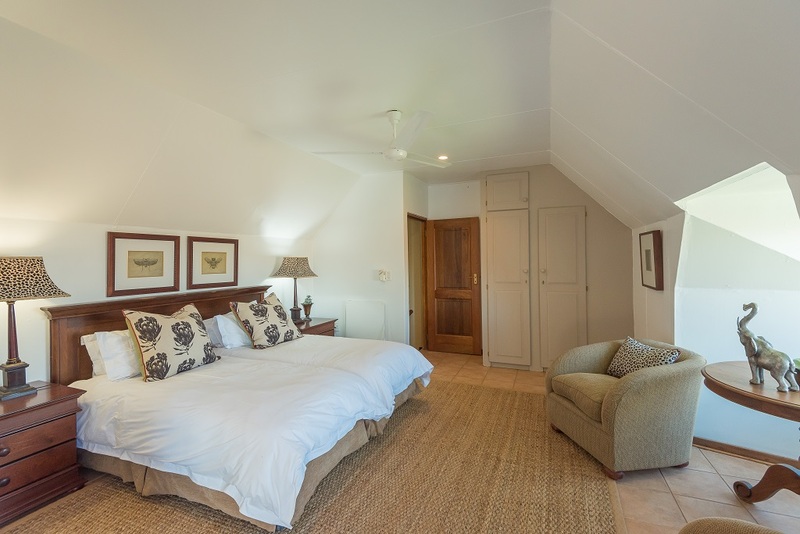 The lodge is a small, private and intimate space where you can unwind in the luxury of your private villa. 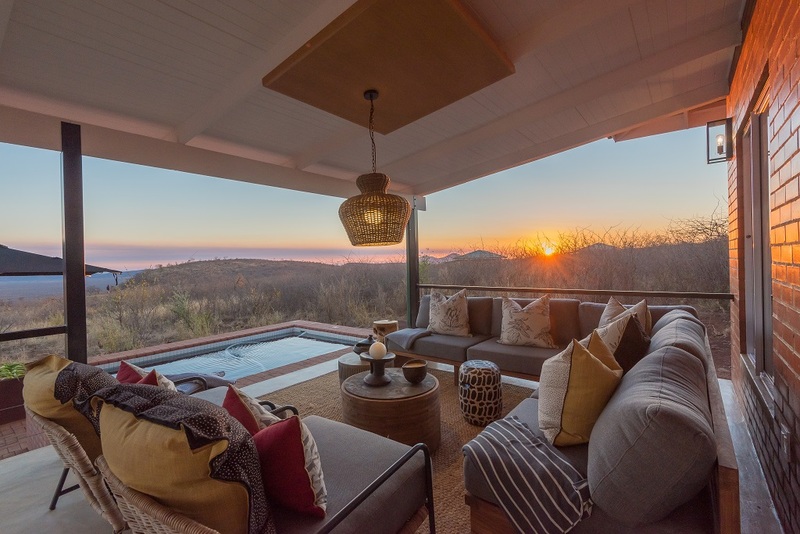 These fully-equipped suits offer you panoramic views, privacy, luxury and convenience to enjoy and make the most of your safari experience. 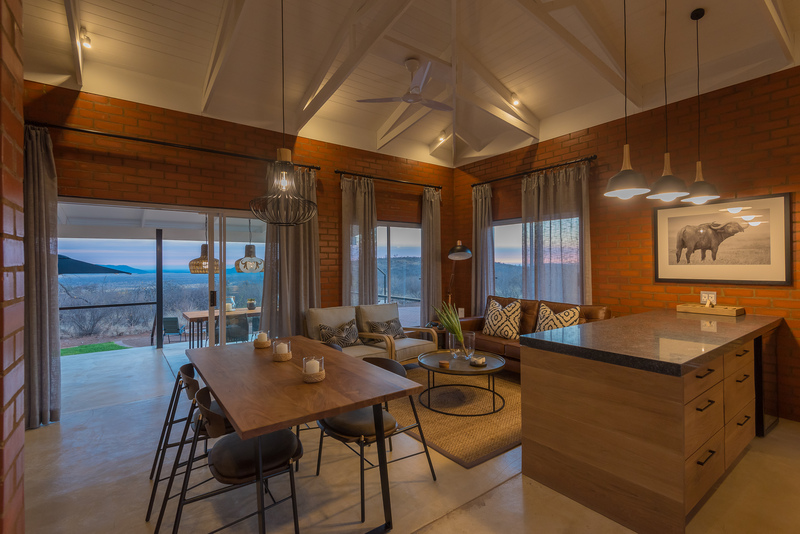 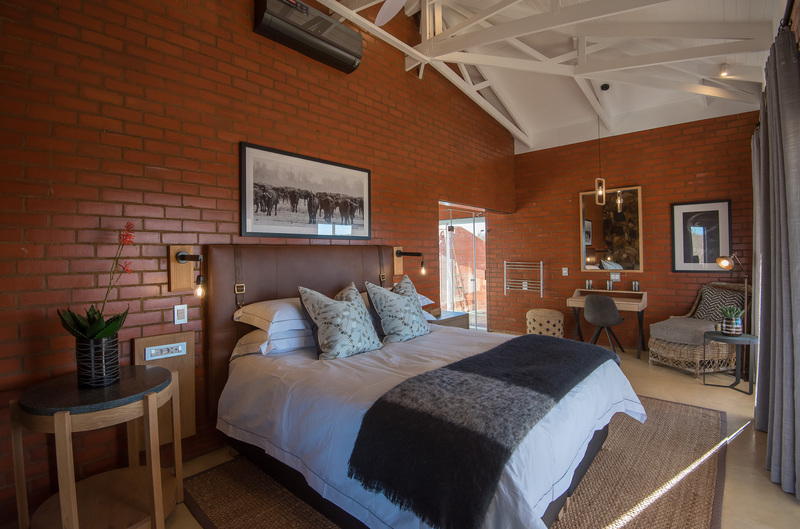 The rooms are tastefully decorated in simplistic tones with décor elements that remind you of the bushveld that awaits to be explored! 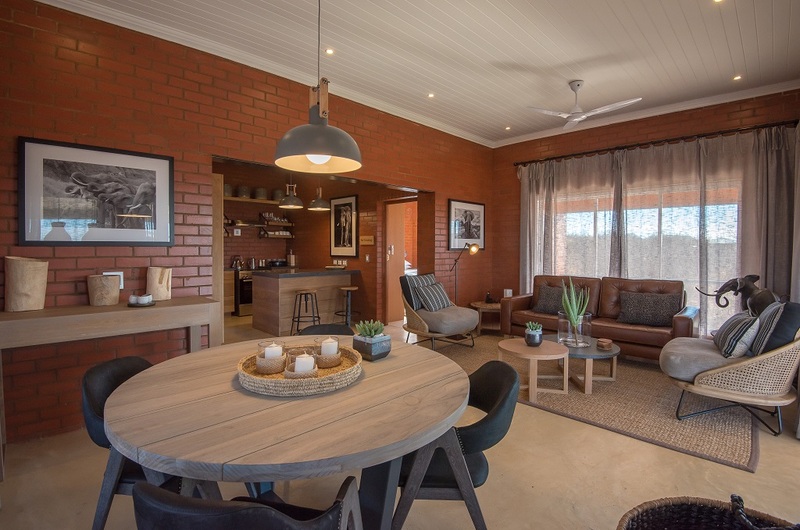 Each unit offers an intimate lounge with an open plan design, a private balcony, fully equipped modern kitchen and dining room. 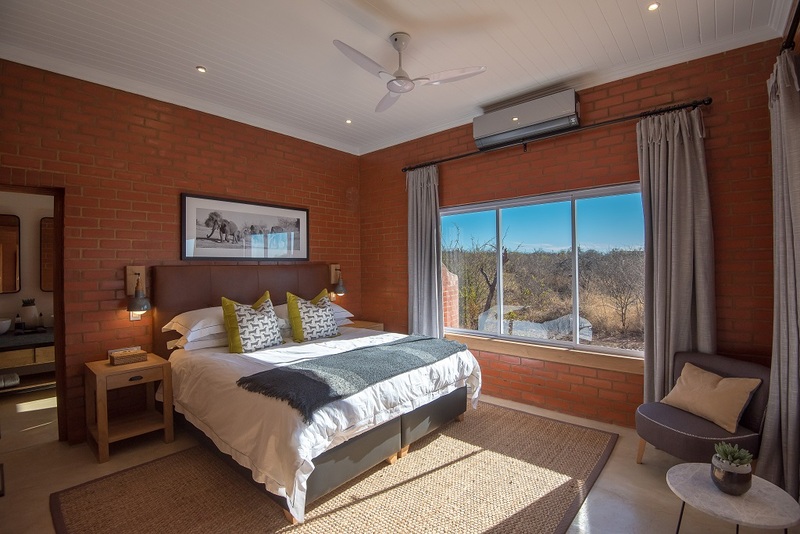 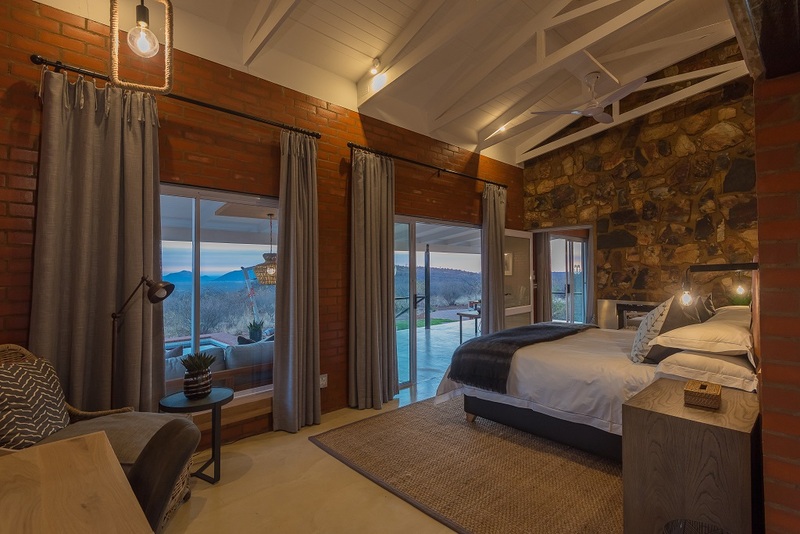 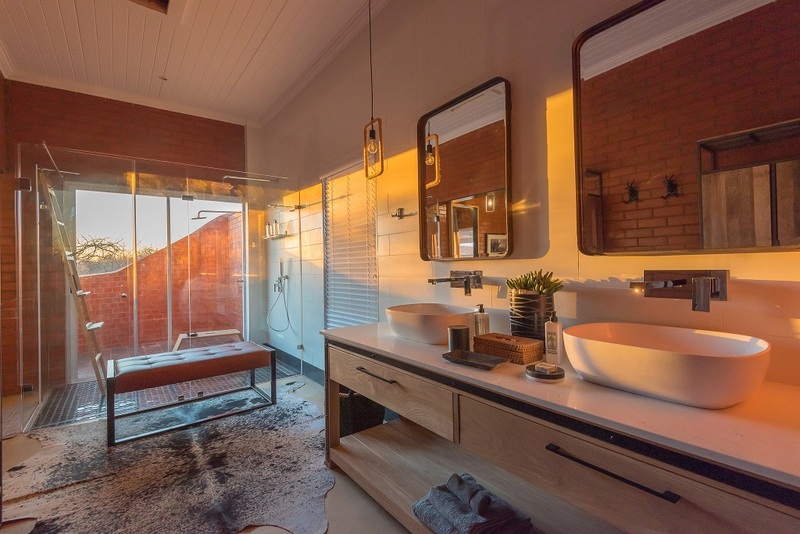 Each room hosts a king-size bed, spacious en suite bathroom, and its own outside shower – bringing you even closer to nature. 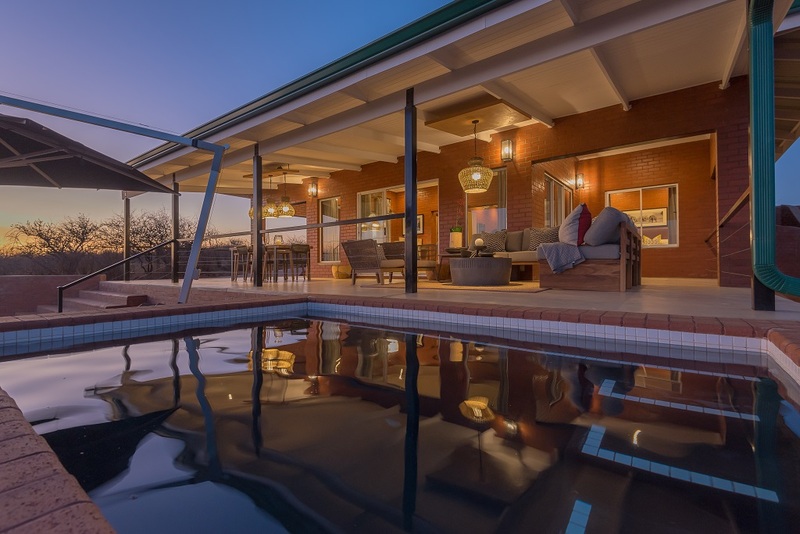 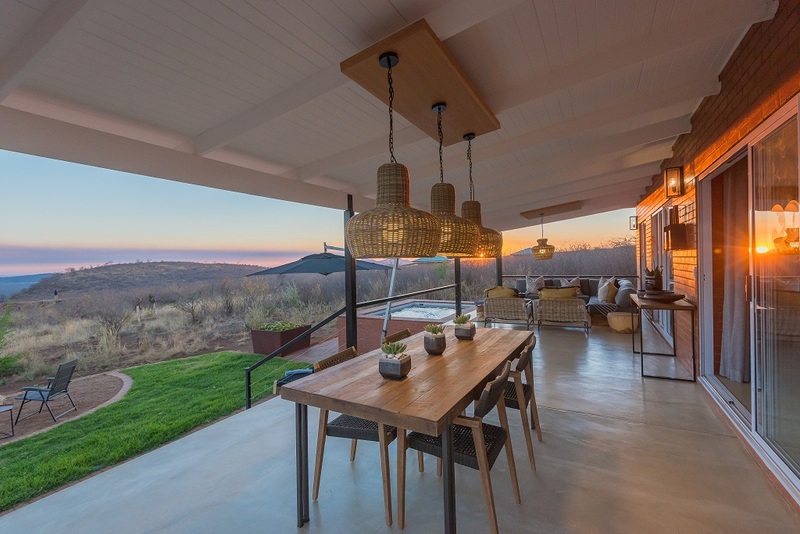 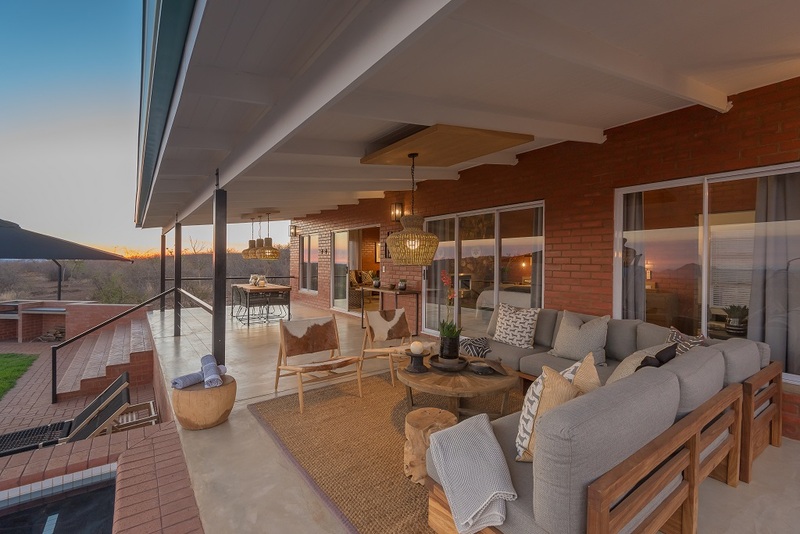 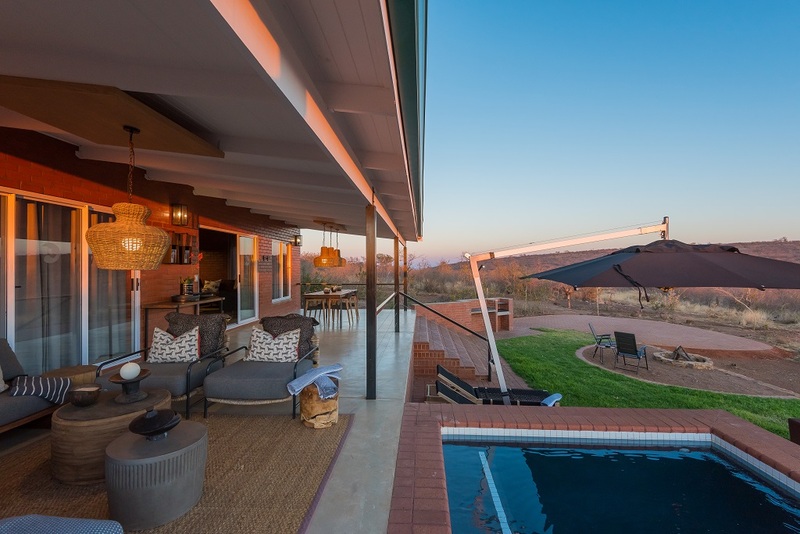 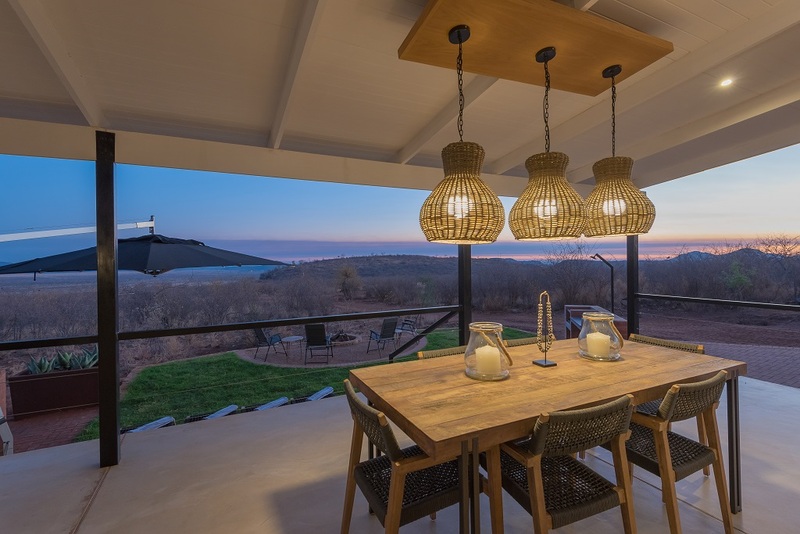 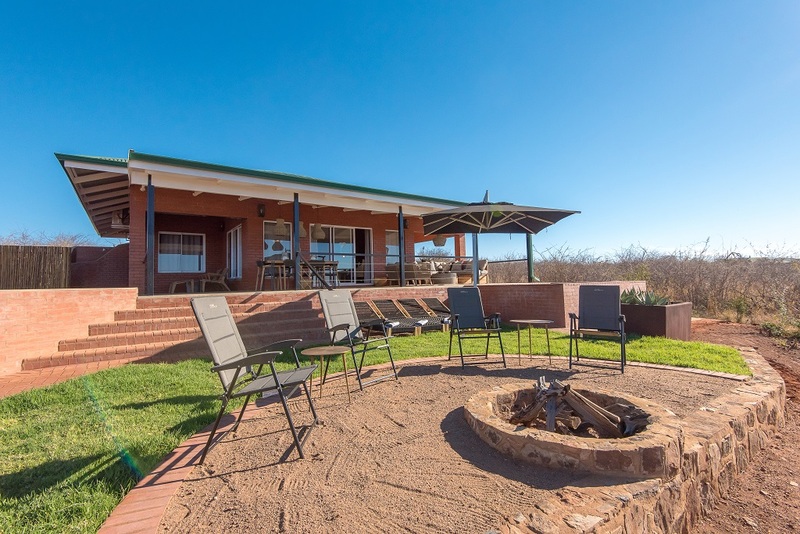 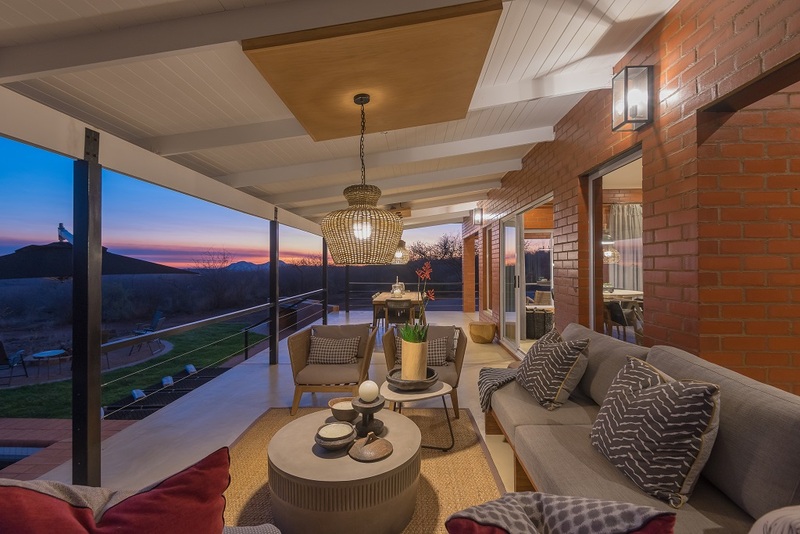 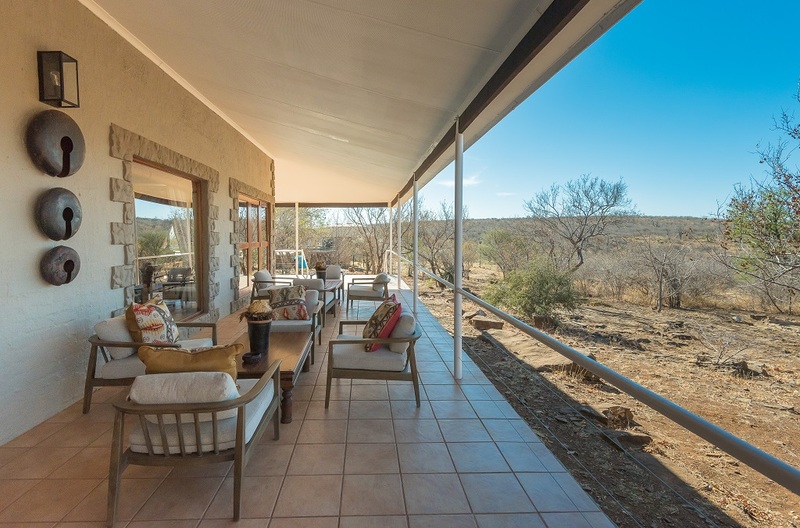 Enjoy panoramic views over the plains of Madikwe and the scattered Enselberg outcrops that are unique to the area. 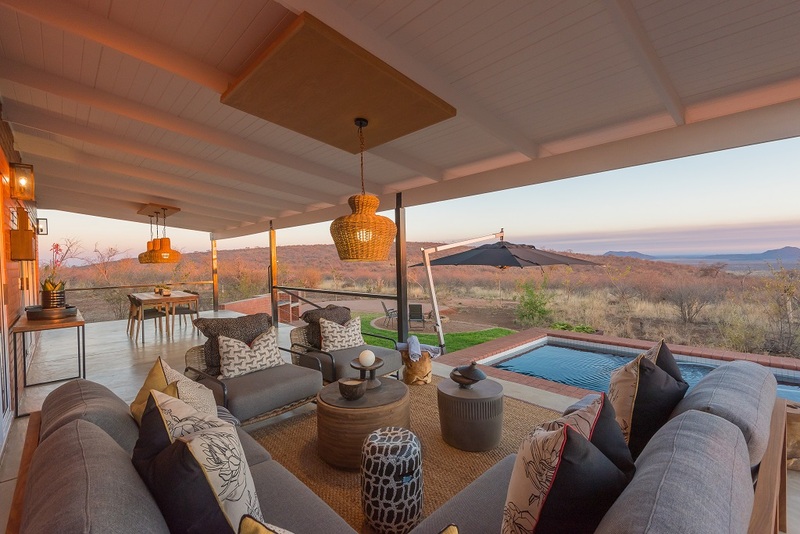 You can choose to relax on your private deck or take a walk to underground hide which has a close-up view of a watering whole frequented by elephants. 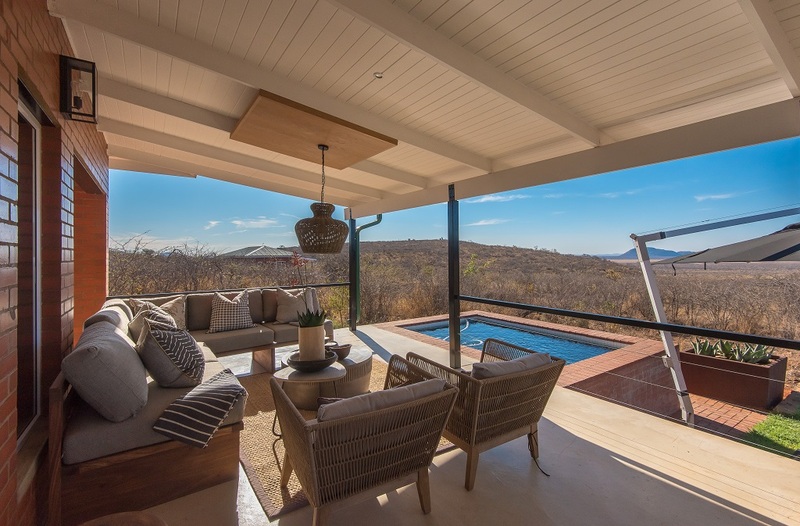 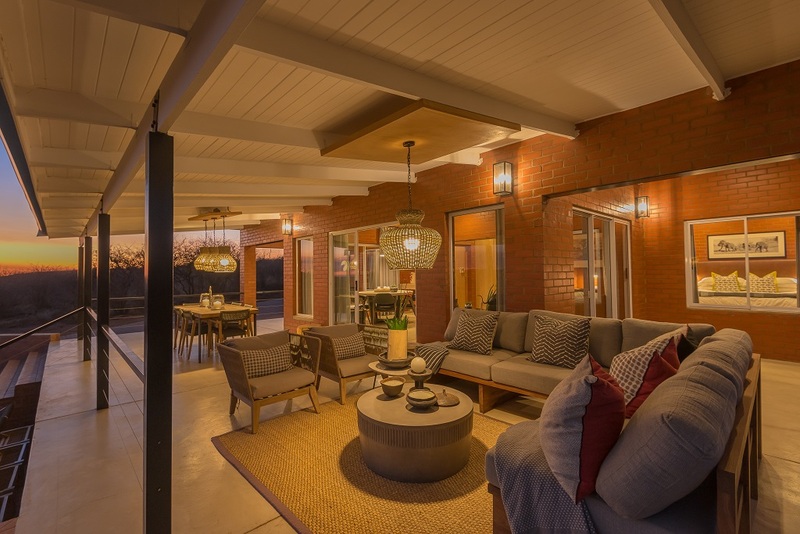 Spend the rest of your day lounging around your private splash pool, or your evenings by a fire under the stars with the sounds of the wild. 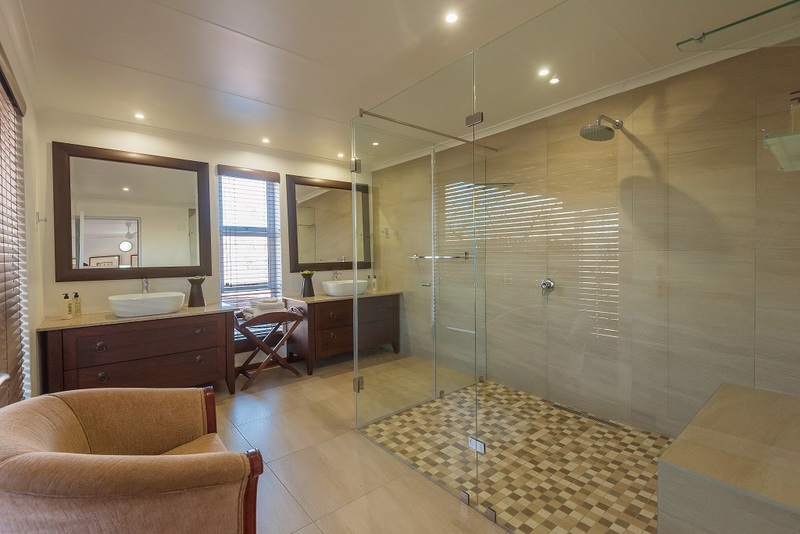 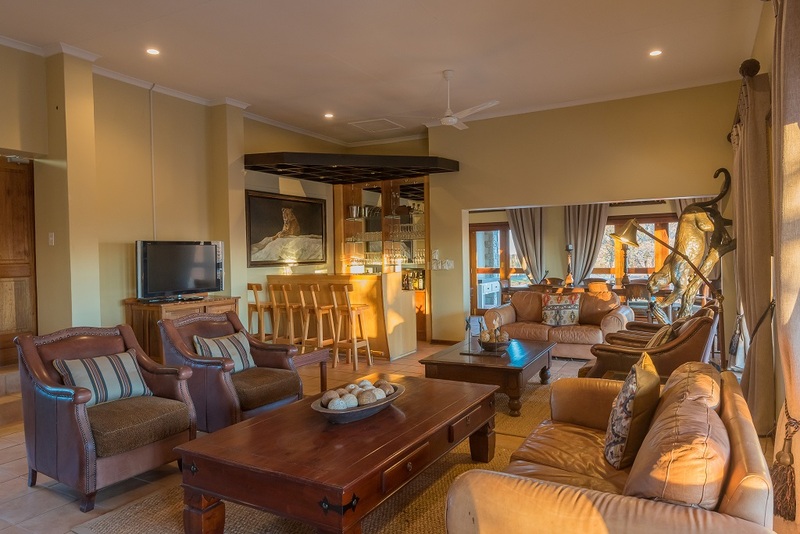 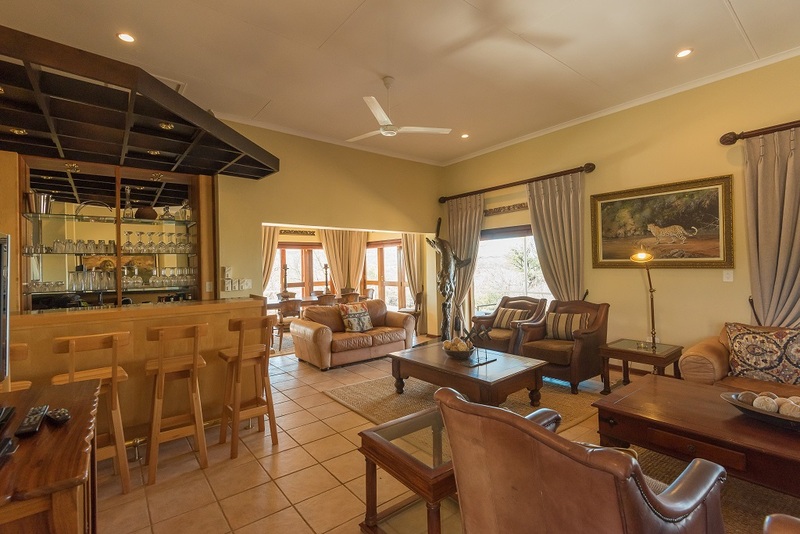 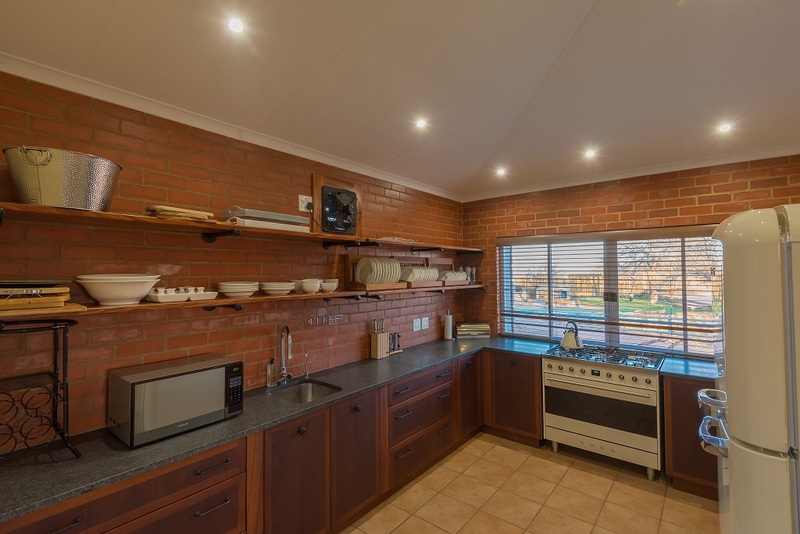 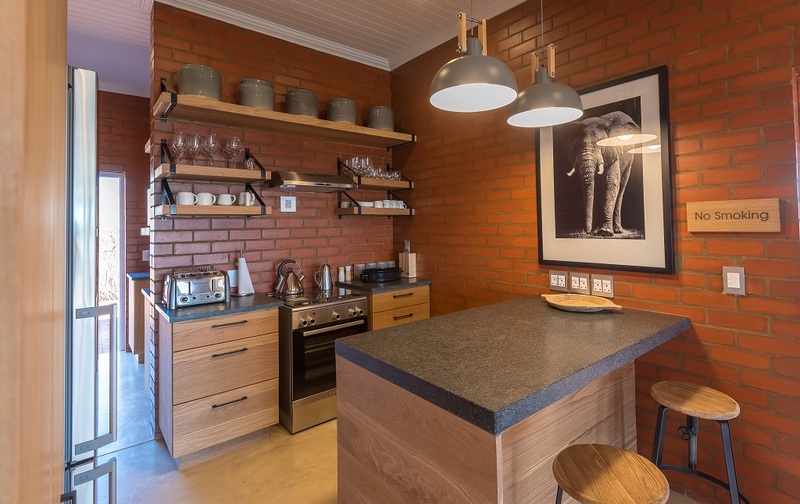 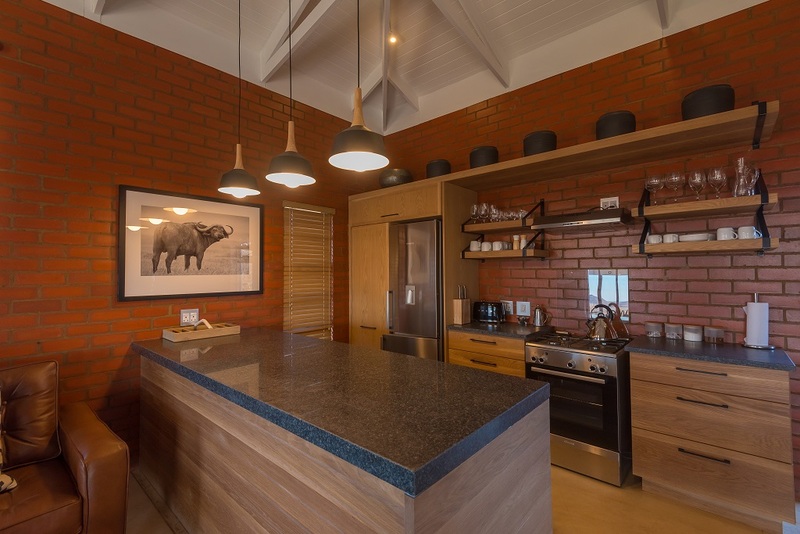 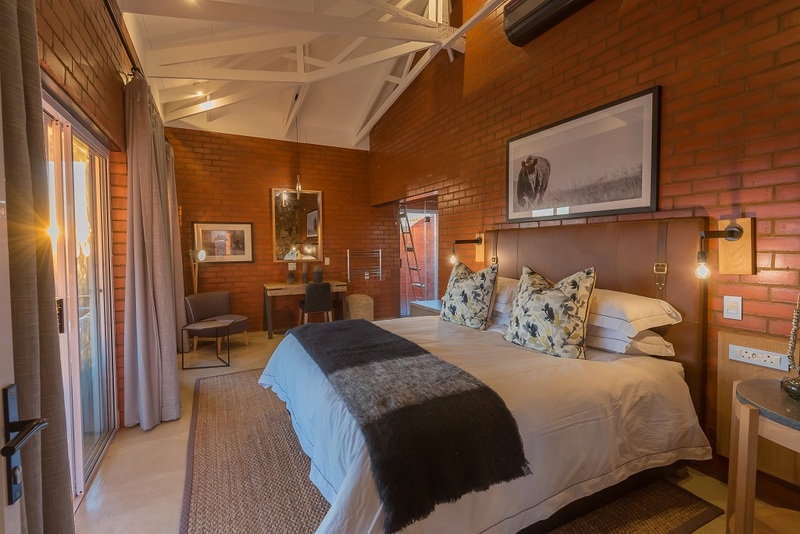 One of the suites – appropriately named Tlou – means elephant in Setswana. 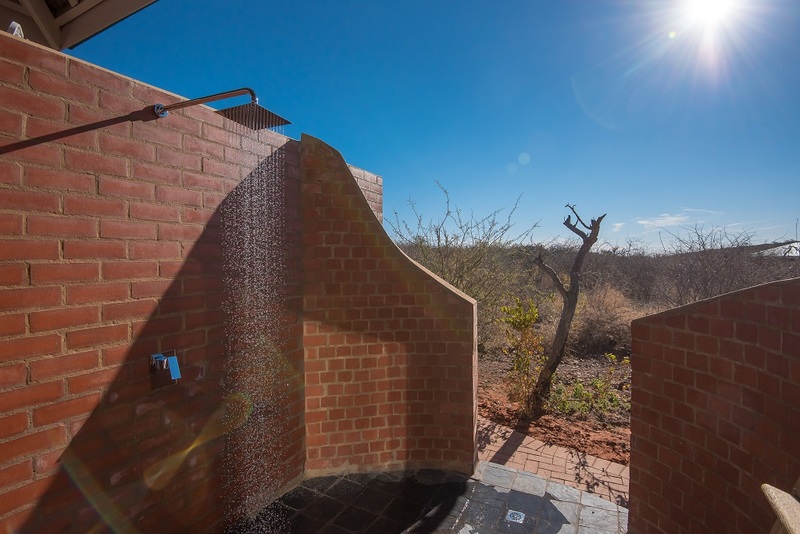 Appropriate here because you can expect to spot them drinking from the watering hole at the underground hide which is within walking distance from your suite. 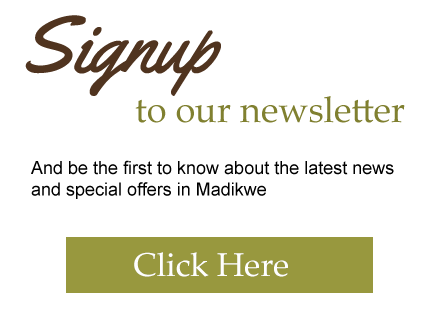 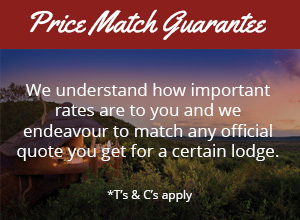 The lodge also offers two game drives per day for all guests at the lodge. 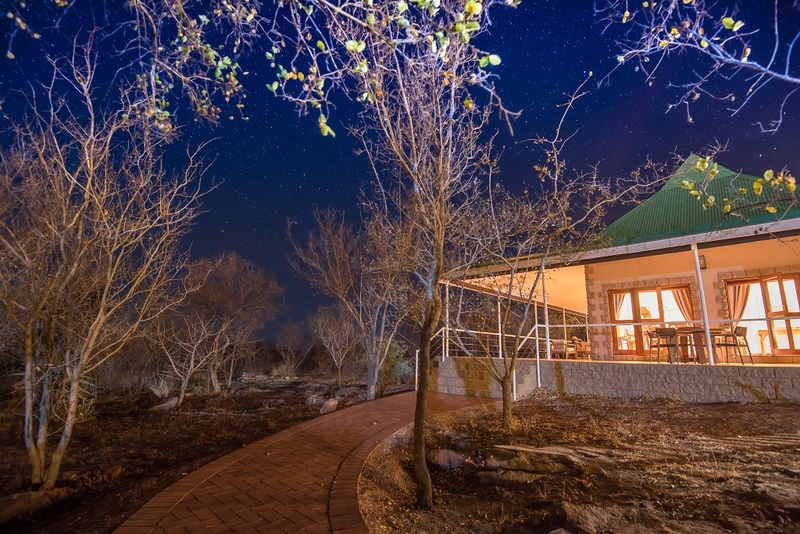 Our consultants have first- hand experience at Rock Fig Lodge and look forward to assisting you with your holiday.